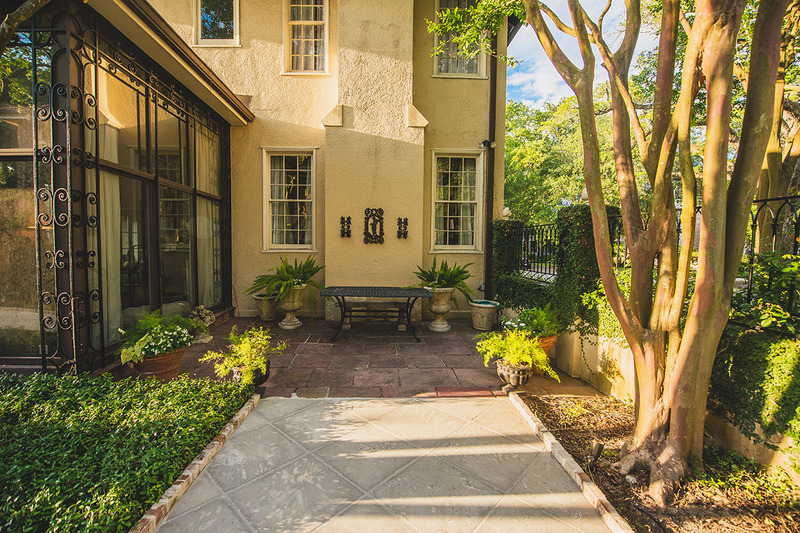 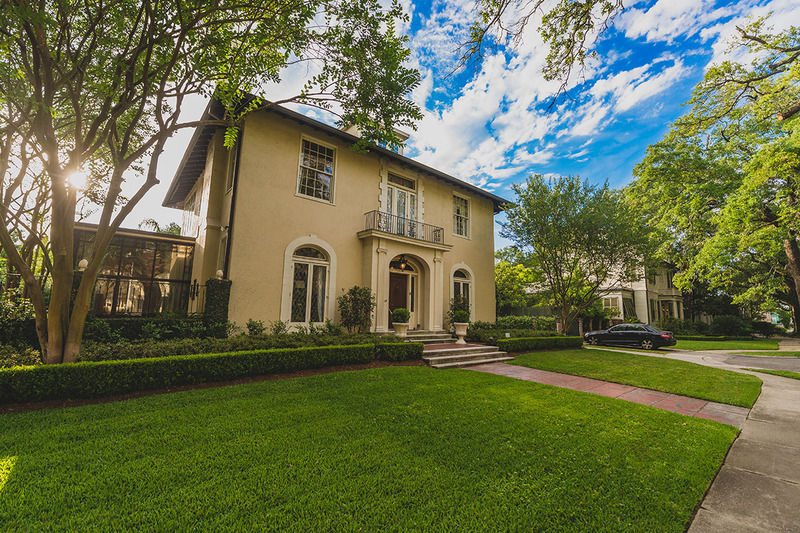 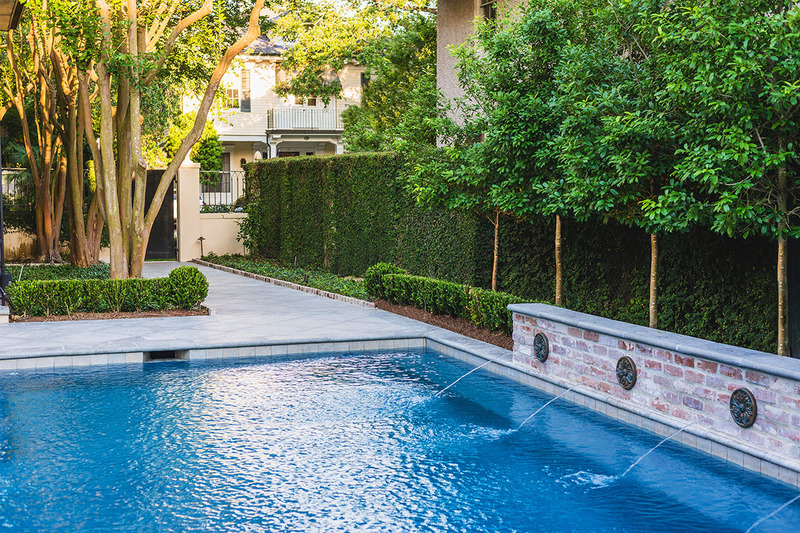 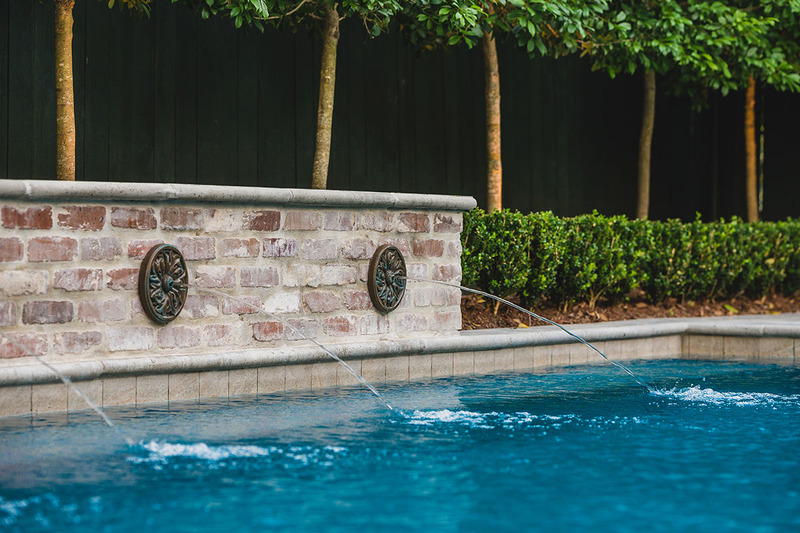 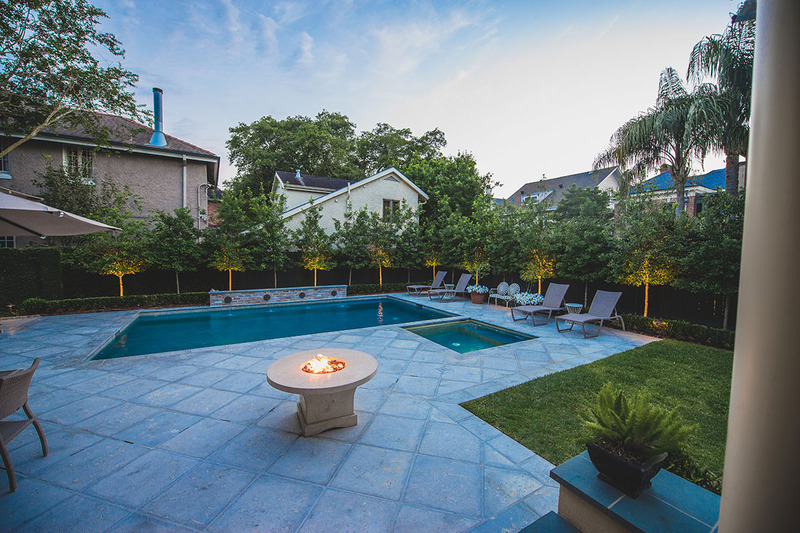 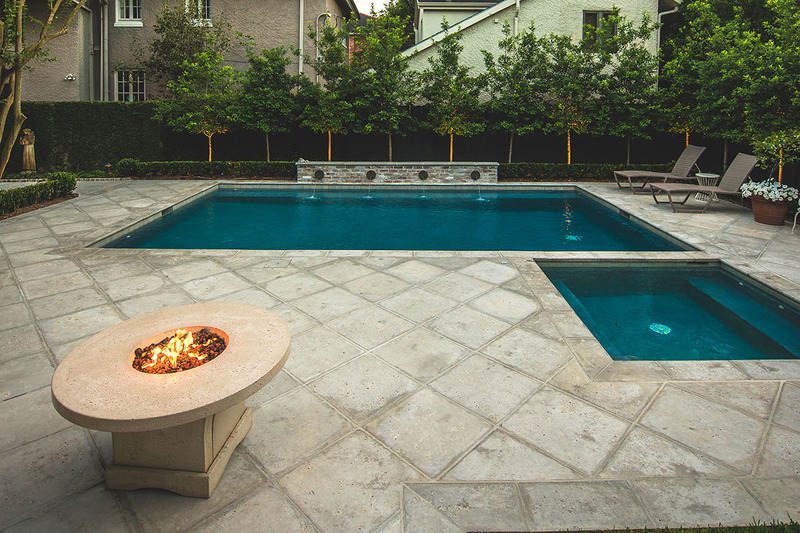 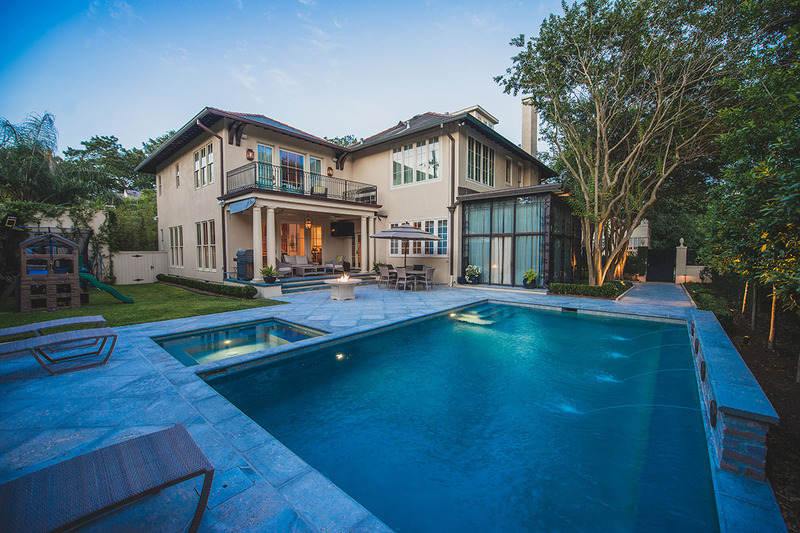 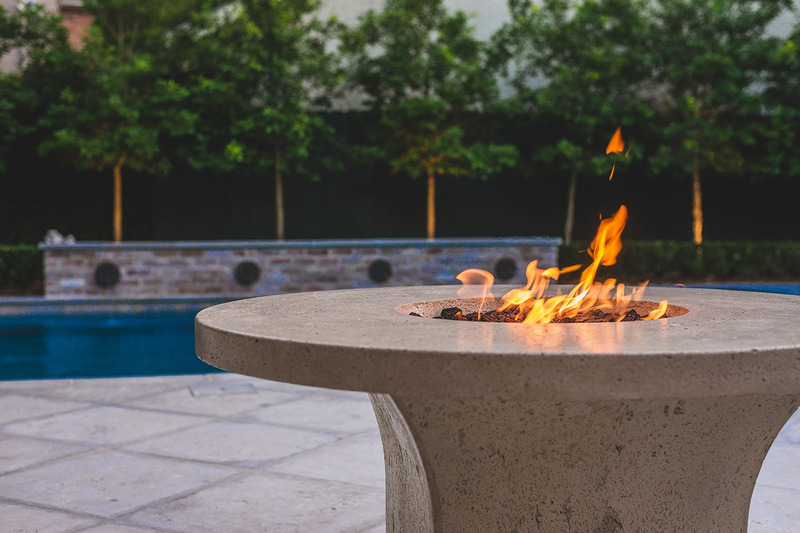 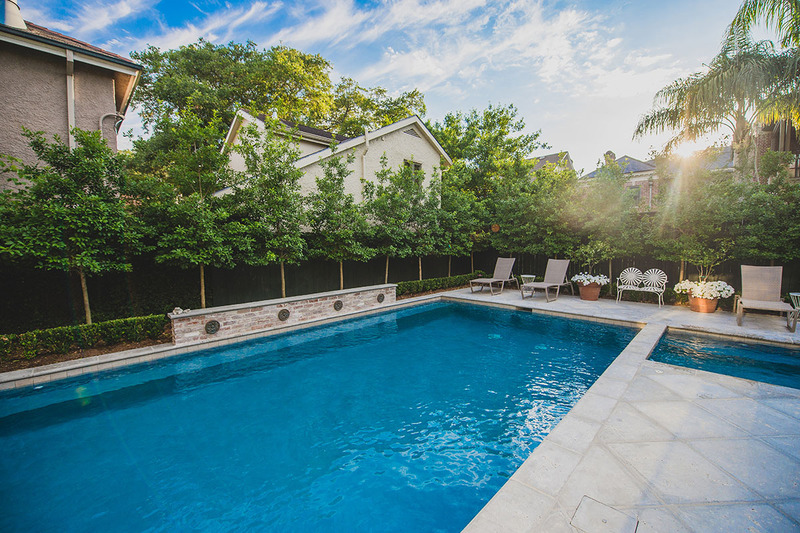 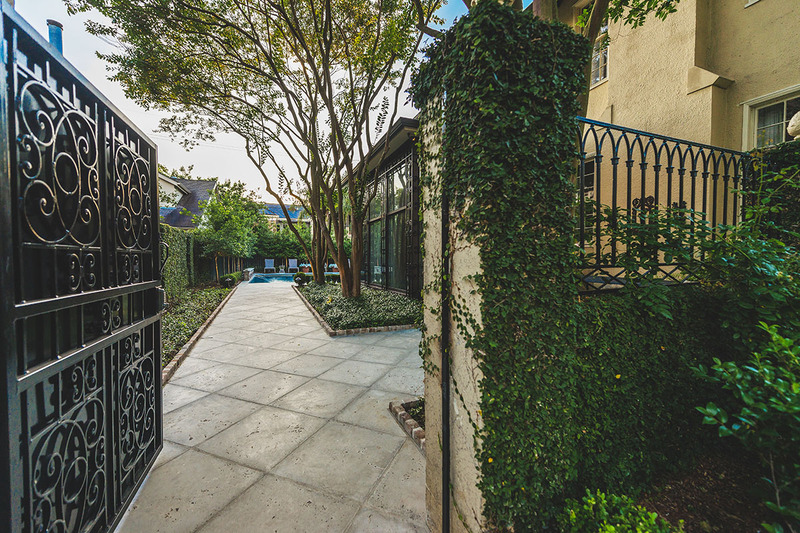 This treasured Uptown family home received a classic garden and pool renovation from the collaboration of Mullin and The Hopkins Company Architects. 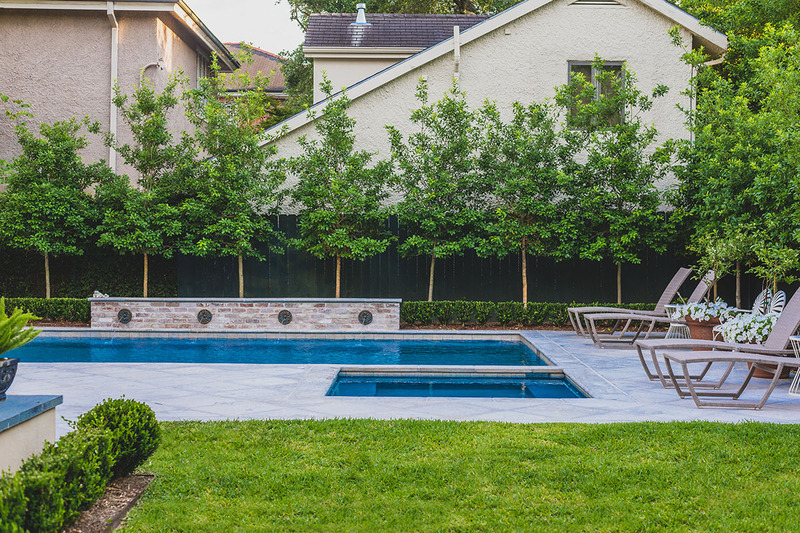 The new plan includes larger gathering spaces, an open lawn and a generously-sized pool for an active family. 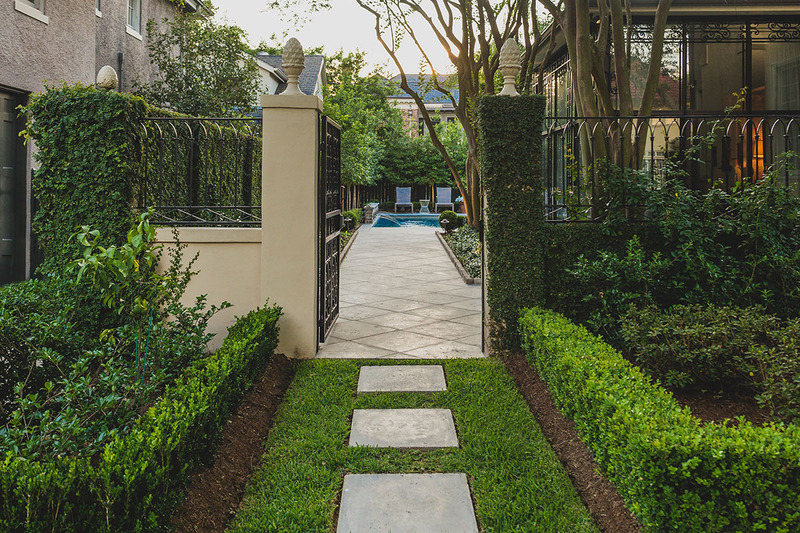 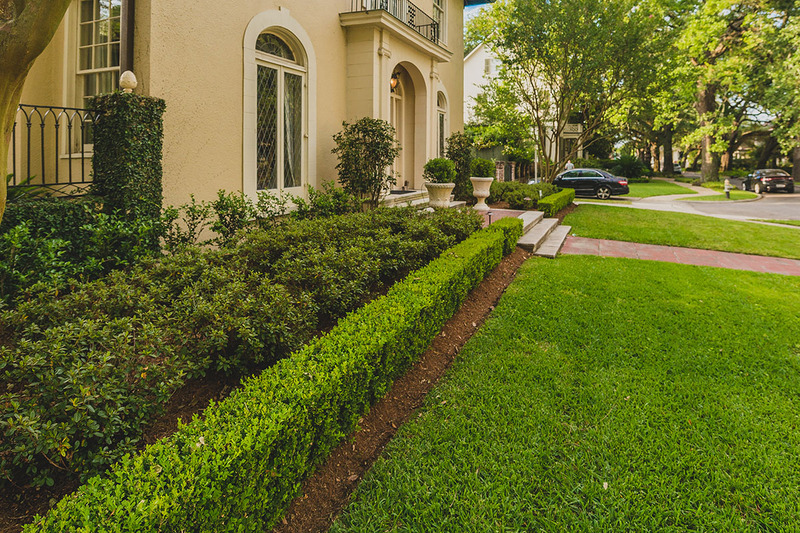 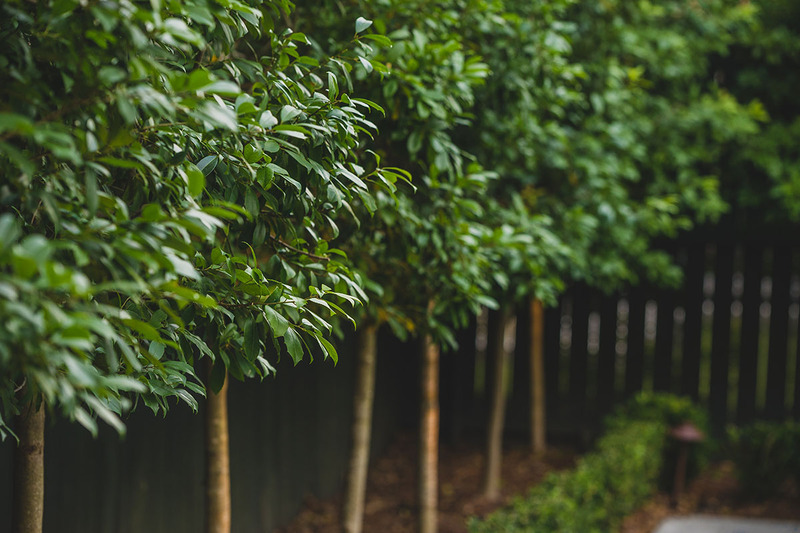 Clean line perimeter plantings provide for privacy and add a bit of structure, while maximizing the open space.